 Regina to Phoenix, Arizona - $227 CAD roundtrip | non-stop flights, new record!  Regina to Honolulu, Kona, Kauai, or Maui, Hawaii - $362 to $380 CAD roundtrip | new record! 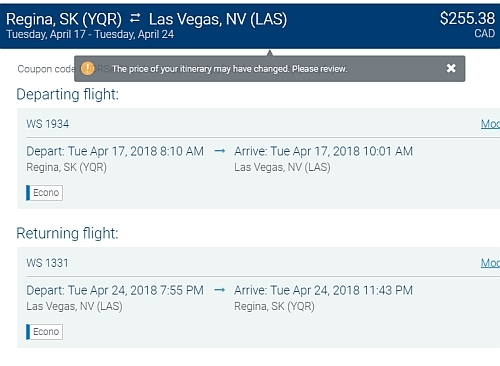 WestJet has a promo code out today that brings down the price of one of their flights in April from Regina to Las Vegas down to $255 CAD roundtrip including taxes. But it's a week long trip. 1. Go to the WestJet promo code page and scroll down a bit. screenshot from the WestJet website. 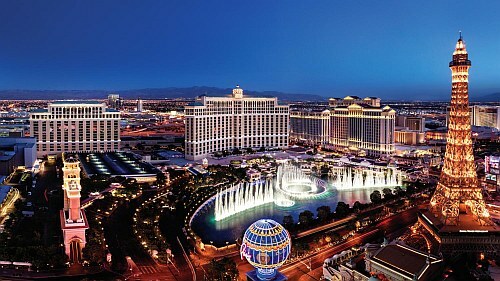 regina, yqr, las vegas, nevada, las, united states, flight deals, westjet and north america. Head to the YQR Deals Alerts Page where you can choose to be notified by e-mail, Facebook, Twitter, or RSS Feed the moment an amazing travel deal from Regina is found. * crowdsource the best travel deals from YQR?